If you have high blood pressure, you put yourself at risk of getting a heart attack. The ideal blood pressure should be 120/80 mm Hg. There are many treatments for high blood pressure, ranging from medications to lifestyle changes. These medications are designed to reduce sodium in the body, which helps lower blood volume. Thiazide diuretics are frequently the first choice for patients. For people over 80, the thiazide diuretic known as indapamide may be taken. These work by blocking a substance that narrows the blood vessels. These medications are most useful for individuals with heart failure. They are also effective for those with kidney failure. Beta blockers lessen the work duties of the heart. They also open the blood vessels, the end result being the heart beats more slowly. These medications are most effective when prescribed with a thiazide diuretic. Taking calcium channel blockers will soothe the blood vessel muscles. Some variants will also slow your heart rate. Some patients report better results taking calcium channel blockers than beta blockers. Note: do not eat grapefruit if you are taking calcium channel blockers; it is unhealthy. These help lower your blood pressure by slowing rennin production. Renin is an enzyme that increases the pressure of the blood. Note that this type of treatment for high blood pressure is still under study. Alpha blockers limit the nerve impulses to the blood vessels. This minimizes the effects of chemicals that narrow the vessels. Aside from blocking the nerve impulses, these medications help slow heartbeat. This in turn limits the blood being pumped in the vessels. This medication is used to block signals from the brain telling the nervous system to boost up the heart rate. The vasodilators keep the arteries muscles from getting too tight. These include dizziness, headaches and nausea. However, there are people who exhibit no symptoms. 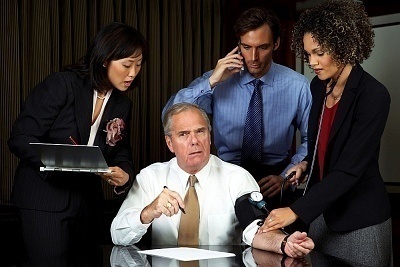 Unless they undergo medical checkup, they will not be aware they have hypertension until it is at a late stage. 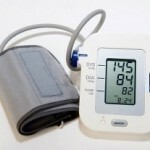 Majority of high blood pressure cases have no identifiable cause. These types are called essential primary hypertension. The secondary hypertension occurs in 10% of all cases. Here there is an underlying reason. In these cases, the blood pressure usually goes up suddenly. The causes of secondary hypertension include illegal drugs, certain medications, stress, anxiety and tension. Some doctors believe there is a link between caffeine and hypertension as well. The lack of sleep, heart ailments, birth control pills and problems with the kidney may also affect the blood pressure. Reducing stress, exercising and eating more fruit, fish and vegetables may help steady the blood pressure. Inform your doctor of any medications you are taking before asking for prescriptions for your hypertension. The treatments for high blood pressure will work only if you take them regularly. Make sure you have regular medical checkup or a blood pressure monitor so you know if the level is high. 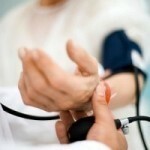 What Causes High Blood Pressure and High Pulse Rate?